Is Easyshade a densitometer or a spectrophotometer? 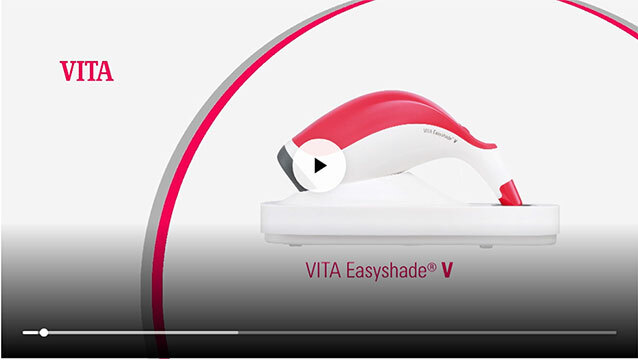 VITA Easyshade is a spectrophotometer. A defined light is passed into the tooth and the remission spectrum measured. The measuring tip will not be damaged when used normally, so the quality of the measurement results is maintained. 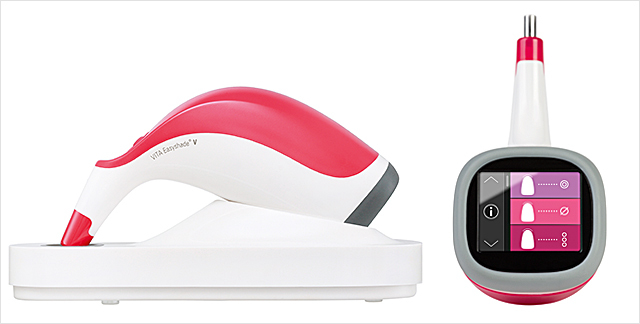 Can I perform intraoral measurement of crowns using VITA Easyshade Advance 4.0? In restoration mode, selecting "User-Standards" and saving the measurement provides an approximation of classical and 3D shades for ceramic restorations. Can the measurement results provided by my Easyshade become less accurate over time? Easyshade automatically offsets external influences and any aging processes. However, the calibration block and the measuring tip must always be clean and undamaged (e.g. no scratches). Poor measurement results are often caused by calibration blocks that are not clean. Do I have to use the anti-infection cover? Measurement can be performed without the anti-infection cover. In this case, the device must be properly disinfected after each patient. Why do my measurement results not match those of my visual shade determination? Determining tooth shade is a very subjective procedure. That is why visual tooth shade determination on the same tooth by different people also delivers different results. Studies have shown only approximately 16% correspondence between the shades taken by three different dental professionals. Why do measurement results vary for the same tooth? What happens if I don't place the measuring tip correctly on the tooth surface? This can lead to incorrect measurement. What impact does the anti-infection cover have during measurement? Due to the optical principle adopted by Easyshade, measurement can be performed through a thin sheet without affecting the measurement result.